You really need to know what to do to prepare for a car accident, obviously, in advance of the accident itself. The purpose of this article is try to cover some basics as to what you need to do to protect yourself before an accident happens. This is all about car insurance. It’s all about what kind of coverage you have and how you can protect yourself, right now, today, before any accident happens. The bottom line question in this area is, what can you do to protect yourself from the “other guy.” This means the at-fault driver who causes a crash, hits you and injures you, affecting your life, your work and likely even affecting your relationships. What can you specifically do, right now? Today? $50,000 of coverage and some even go as high as $100, 000 of coverage. This is for payment of your medical bills. This is critical and essential. The question you might have is: Why would I have medical payments coverage through my own car insurance company when I have other “health insurance” and I can get my medical bills paid that way? The simple answer is that there is a relatively new Statute in Colorado mandating that the car insurance companies have no rights of subrogation against your recovery against the at-fault driver. This means that your car insurance company has to pay your medical bills, but you do not have to pay them back once you recover from the at-fault driver’s insurance company. If you have other regular “health insurance,” there’s a substantial likelihood that you would have to pay part or all of the medical bills back to your Health Insurance Company, by taking that money out of your pocket and giving it back to the insurance company. The math is simple. Wouldn’t you rather have coverage for your medical bills in a situation where you do not have to pay them back to the Company who paid the medical bills as opposed to having to pay them back. An example is in order. The example is this: Suppose you’re injured in a car crash. Your medical bills are $18,000. You have medical payments coverage with your own car insurance company in the amount of $25,000. Let’s assume you recover $50,000 from the at-fault driver. If this were a health insurance company, as opposed to your car insurance company, you might have to pay either part or all of the $18,000 in medical bills out of your $50,000 recovery back. When you use “med pay,” with your own car insurance company, you have no obligation to pay them back any money from your recovery from the at-fault driver’s insurance company. You keep the money. You must have the highest “UM” and “UIM” coverage that you can afford. UM stands for Uninsured Motorist Coverage and UIM stands for Under Insured Motorist Coverage. Let’s discuss UM first. When a driver hits you, and that driver has no car insurance, that is a “UM” (uninsured motorist) situation and event. This means that you are not going to collect any insurance money from the at-fault driver. This also means that the only place you have left to go for insurance recovery, in this example, isyour own car insurance company, namely the “UM” coverage. 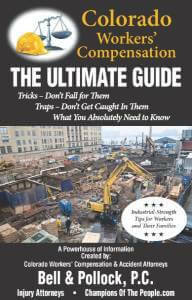 That will pay for your injuries, damages and losses. Don’t’ you think it is important that you have the highest “UM” and “UIM”coverage that you can afford because that is many times the only insurance money available, usually, to pay you for your injuries, damages and losses. $200,000, then you are never going to get it from the insurance company covering the at-fault party because they only have an obligation to pay up to the $25,000 limit of coverage. Where else do you go? You go to your own “UIM” coverage to pay you the rest of the money for your damages, injuries and losses. If you don’t have the “UIM” coverage then you get nothing paid for your injuries, damages and losses from your insurance company. If you do have “UIM” coverage, then you can make a claim for payment for your injuries, damages and losses. Although this article can’t cover each and every thing that you must do or every step that you must take to protect yourself before a car accident, it covers some of the major points with regard to car insurance before a car accident, a truck accident, or other trauma occurs. If you or a loved one has been injured in a car accident call us for a free case evaluation. Fortunately, I was referred to Robert Brovege by a family member. He and his paralegal always took time to explain everything that was happening in my case, and what the next step would be. It was great knowing that someone was always in my corner. I would highly recommend Robert Brovege. 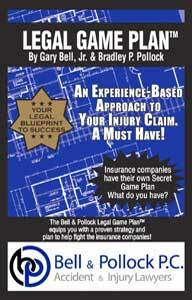 I am happy with the personal attention that I received from Bell & Pollock on my automobile accident case. Bell & Pollock successfully negotiated a settlement with the at fault party’s insurance carrier. Bell & Pollock made the entire process less stressful for me. They have worked all hours of the day, night, weekends and holidays assisting me with personal injury accident claim and related disability issues. As a single parent to a six year-old little girl I feel great comfort in knowing that Bell & Pollock are here to help us through these difficult times. Thank you for all you do! I sustained serious injuries after a collision with a hit and run driver. Bell & Pollock represented me in my lawsuit against the at-fault driver, and helped settle my underinsured motorist case with my automobile insurer. I am very happy with the representation that I received from Bell & Pollock. This overview discusses some of the most common types of collisions that occur in the U.S., as well as their typical causes. Learn about the top causes of auto accidents and how human error factors are the leading cause. Accidents can cause a range of injuries, some of which may have lasting impacts on people’s health and overall quality of life. Picking up the pieces after an accident, can be difficult, especially if it led to serious injuries. The best legal representation can help you with your financial recovery. If you’re not prepared, you could be caught off guard, putting your health and your financial security at stake. Follow these steps after a car accident. 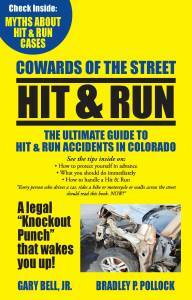 The State of Colorado Traffic Accident Report contains a dizzying array of special codes, abbreviations and symbols. Learn what to look for on your report. In the event you are in a wreck, being prepare can help reduce stress and take the next steps to protecting yourself and loved ones. 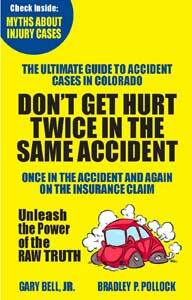 If you are involved in an incident, it is Colorado law to report your accident. 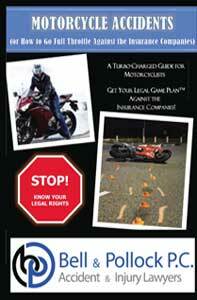 Learn how to report your accident to the correct authorities.